Lawrence's Payton Goodwin won the long jump with a leap of 15-10 3/4, she added another win with a jump of 32-1 in the triple jump. Messalonskee's Emma Wentworth won the 200m in 27.85, she currently ranks third in the state with a best of 27.39. She also finished third in the 400m with a time of 66.25. Tea Kepler of Brunswick won the pole vault with a clearance of 9-0. Brunswick's Mitchell Lienert won the 55m dash with a time of 6.85. Leinert clocked a personal best 23.37 in the 200m, he currently has the top time in Class A in the event. Lienert also ran a leg on the 4x200 which set a state leading mark of 1:34.71. Kamundala Crispin of Lewiston jumped out to 43-3 1/4 to win the triple jump, and in the process moved to the top of Class A in the event. 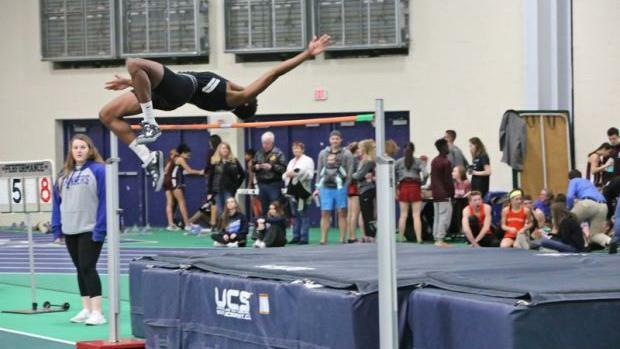 The high jump was an excellent competition as state leader Samuel Cenescar cleared 6-4 to win the event. Behind him Sam Herbert of Camden Hills & Jeremiah Williams of Lewiston cleared 6-2. 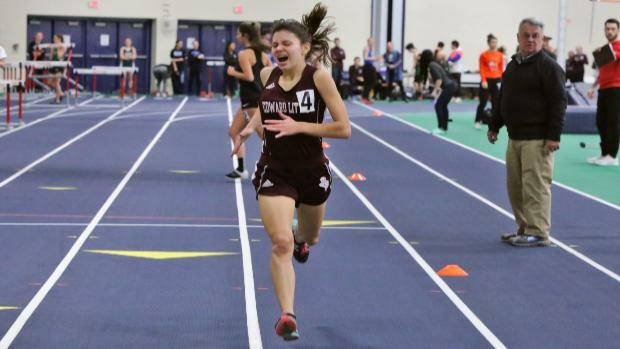 Jillian Richardson of Edward Little was a double winner taking the 800m in 2:27.90, a Class A #3. She returned to the track shortly after to run 11:30.23 to win the 2 mile in a state leading mark. Cony's Anna Reny won the 200m in a time of 27.53, the mark ranks her fourth in Class A in the event. In the triple jump Wyley Fitzpatrick of Mt Ararat jumped a personal best 34-3 1/2 to win the event with the third best mark in Class A this winter. Holden Brannan of Mt Ararat swept the short sprints with a 7.03 clocking in the 55m, and a 24.61 effort n the 200m. Waterville senior Ethan Nurick won the 55m hurdles in a time of 8.93, he also jumped 41-3 to take the triple jump. Belfast's Jack Hansen cleared 12-6 to win the pole vault. He also jumped 19-11 3/4 to win the long jump and added a third win with a 5-9 clearance in the high jump.